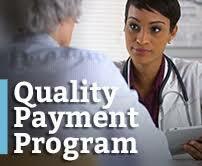 Year 3 of the Quality Payment Program has ‘upped the ante’ for what will be required of eligible clinicians (ECs) in order to avoid penalties. In order to score the minimum 30 points, EC’s will not only have to receive full credit in Improvement Activities, but will also have to score at least 15 points from one of the other categories. CMS understands that this can make it difficult on some practices, so they have built flexibilities into the program for practices. These flexibilities allow ECs many different pathways to avoid a penalty and excel in this program. While the added flexibilities are a great way to shape your approach to year 3, not everyone knows what flexibilities are available, and how they be used. With 7% at stake, it is important that ECs learn all the ways they can improve performance on measures, and submit with the confidence that they tailored their approach to maximize their score. During our webinar we will examine the different opportunities offered to ECs that increase the flexibility of the QPP, but can also increase the complexity of the program. Understanding how these options can be used during the 2019 program year will allow ECs and Groups to determine the best path for this year and help shape 2020 and beyond. Questions? Call us at 859-323-3090 or email at Kentucky REC. Thank you for signing up for Kentucky REC News.